Energy saving --- it reduces 30% power consumption compared with LCD screens. High brightness and contrast --- With LED screen you can see all the test pictures clear even under strong light. Optimal design --- reduces the extra cables inside the instrument. The less cables, the less troubles. Much lighter --- The LED screen is lighter than the LCD screen. 3/. 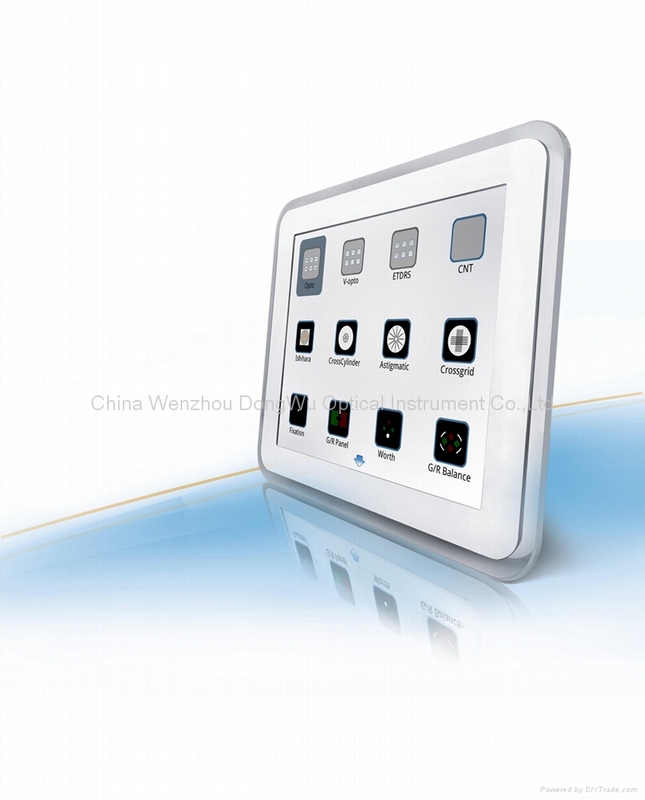 More options of optotypes display style are offered--- V Style Optotypes which can avoid crowding phenomenon.